There are times when exporting to a pdf image is simply troublesome. If the data you are plotting contains many points then your figure will be big in size and the pdf viewer of your choice will spend most of its time rendering this high quality image. We can thus export this image as a jpeg, png or tiff. The picture will be fine from a certain view but when you zoom in it will look all distorted. This is fine to some extent for the figure we are plotting but if your image contains text then this text will look pixelated. 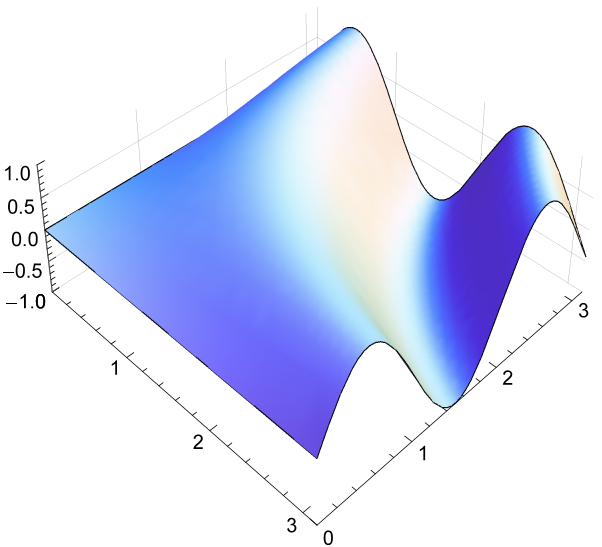 In order to try to get the best of both worlds we can separate this figure into two parts: Axes with labels and the 3D picture. 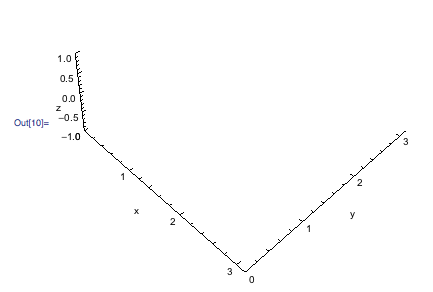 The axes can thus be exported as pdf or eps and the 3D figure as a raster. 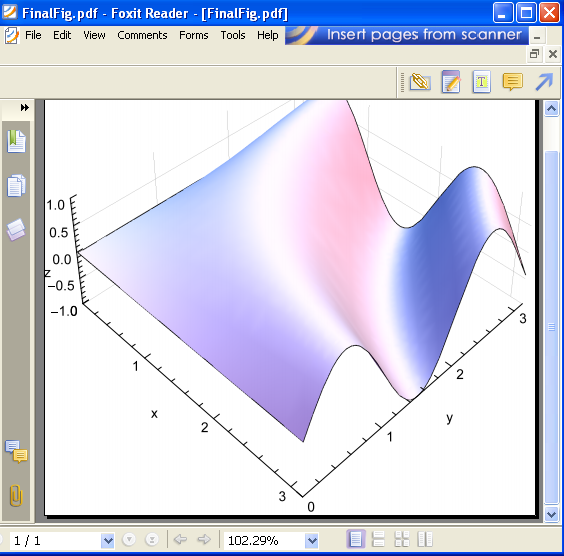 I wish I knew how later combine the two in Mathematica, so for the moment we can use a vector graphics editor such as Inkscape or Illustrator to combine the two. I like to start my notebook by setting the working directory to the notebook directory. Since I want my images to be of the size I specify I set the printing style environment to working, check this for more info. Here we set the view of the plot we want to make. Now lets create our plot. Now we need to find a way of separating. Lets start by drawing the axes. 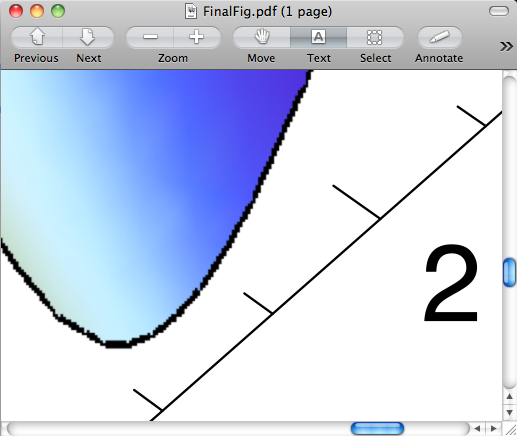 I included the facegrids so that we can match the figure with the axis in the post editing process. Now we export both images. The two figures are different sizes. I know axes.pdf is correct because when I open it in Inkspace the figure size is 5 inches as I had previously specified. I mentioned before that I managed to get this with one of my plots. I will clean the file and change the plots to make it more accessible for anyone who wants to see that this is in fact true. In any case, does anyone know why I can't get the two pdf files to be the same size? 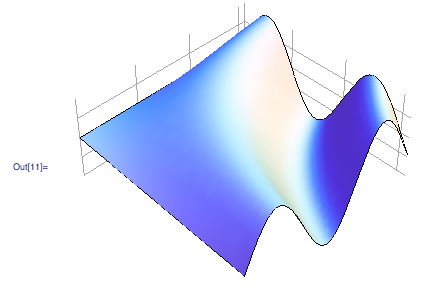 Also, keep in mind that we want to obtain a pretty plot for the Rasterized figure. Thank you for your time. PS. 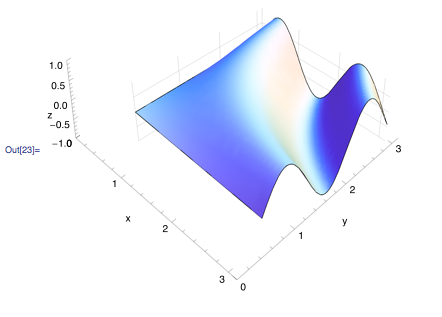 As a bonus, can we avoid the post editing and simply combine the two figures in mathematica? The rasterized version and the vector graphics version that is. Thanks to rcollyer for his comment. I'm posting the results of his comment. One thing to mention is that when we export the axes we need to set Background to None so that we can have a transparent picture. 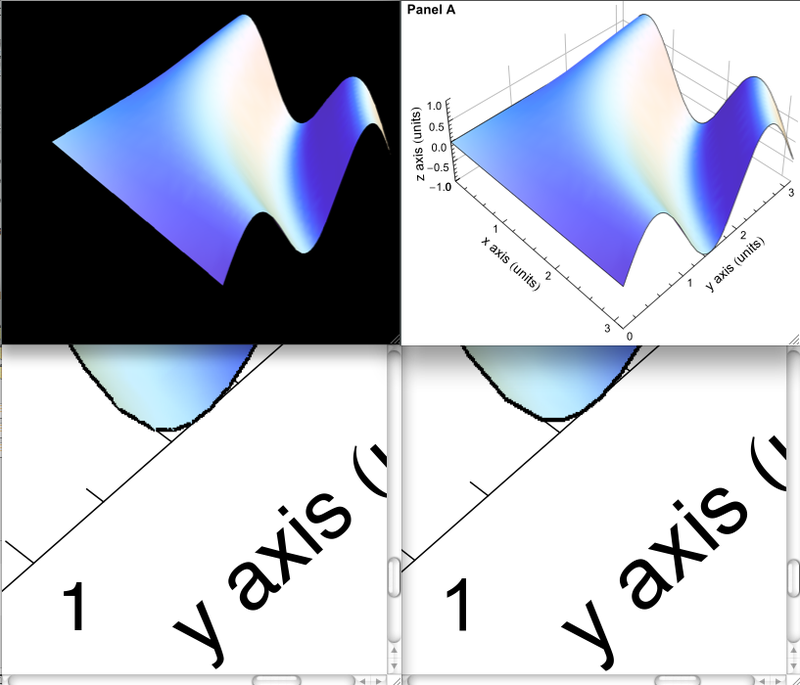 The axes preserve the nice components of vector graphics while the figure is now a Rasterized version of the what we plotted. But the main question still remains. How do you make the two figures match? The magnification takes care of the resolution of your image. You should try different values to see how this changes your picture. The first column shows the output obtained from M7. Top is the eps version with file size of 614 kb, bottom is the pdf version with file size of 455 kb. The second column shows the output obtained from M8. Top is the eps version with file size of 643 kb, bottom is the pdf version with file size of 463 kb. I hope you find this useful. 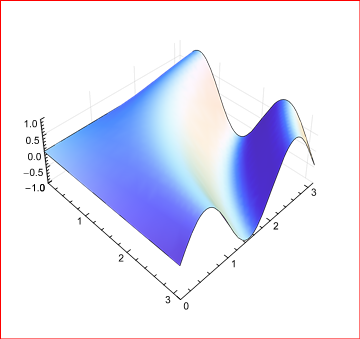 Please check Alexey's answer to see the comments in his code, they will help you avoid pitfalls with Mathematica. 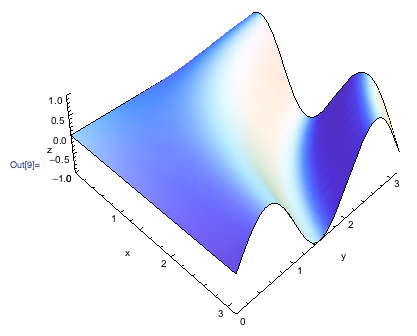 In Mathematica 8 the problem may be solved even simpler using new Overlay function. In this case we need not to convert fonts to outlines. Here I present another version of the original solution which uses the second argument of Raster instead of Inset. I think that this way is a little more straightforward. The rest of the answer is the new solution. Note that this last code is based on the knowledge of internal structure of the expression generated by Rasterize which is potentially version-dependent. produce PDF files looking identical to both previous versions. These requirements can be met by exporting as .eps and using an embedded rasterized preview image. This will work in many applications. Unfortunately, MS Word's eps filter has been changing wildly over the last four versions or so, and whereas it once worked for me in one of the older functions it doesn't anymore in W2010. I've heard rumors that it might work in the mac version, but I can't check right now. How to export graphics in “Working” style environment rather than “Printout”? 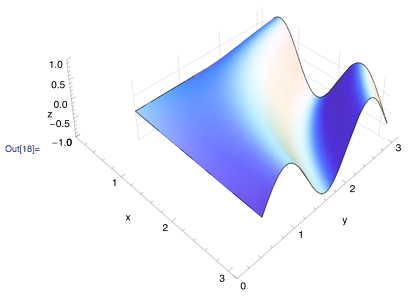 How to control the layover of a graph on a figure in Mathematica?